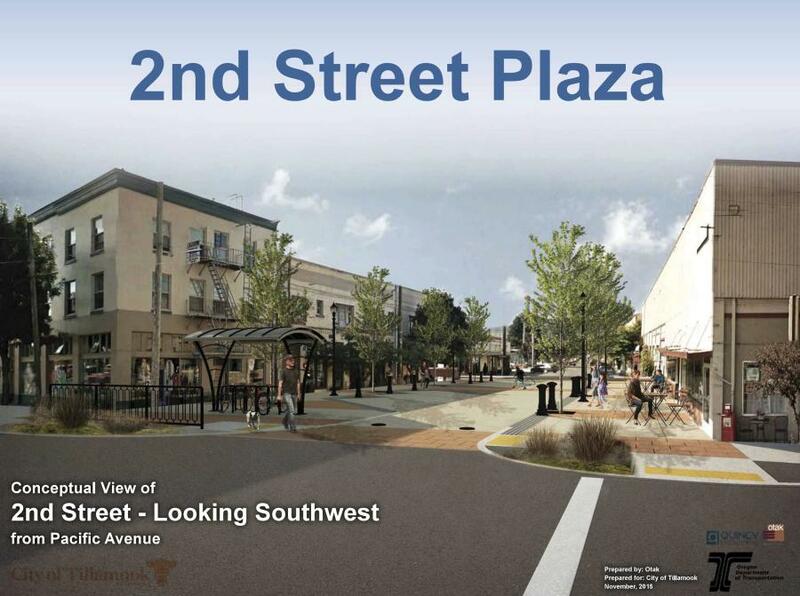 Now, a $38.2 million project will not only fix the problematic roads, but revitalize a once thriving, long since declining downtown. While the project will most assuredly give the little downtown the facelift it's long needed, the key components of the project are really about safety — for drivers, pedestrians and cyclists alike. Now, two-thirds complete the project includes two new bridges, a widened roadway, bubble crosswalks and trails for pedestrians and cyclists linking to a nearby park. 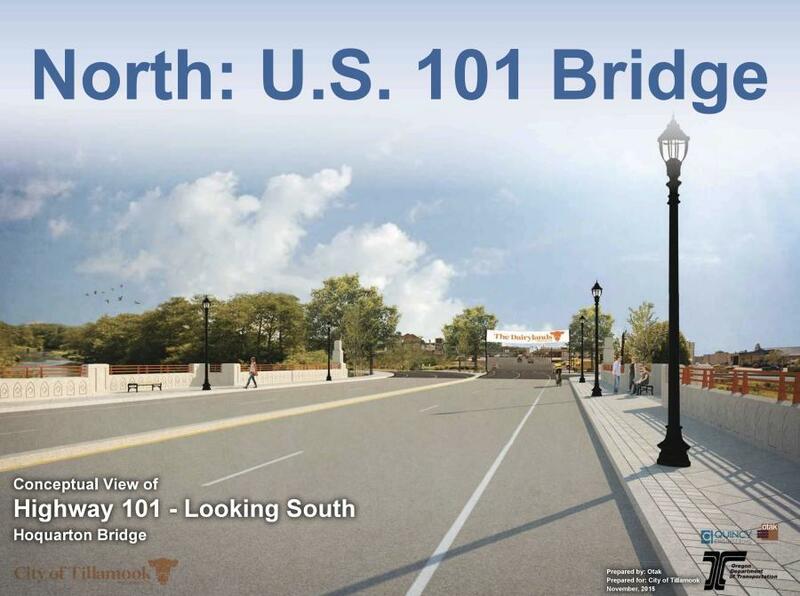 Funded in large part by the Jobs and Transportation Act passed in 2009, the project got under way in 2015 and is expected to be completed in the fall of 2018. 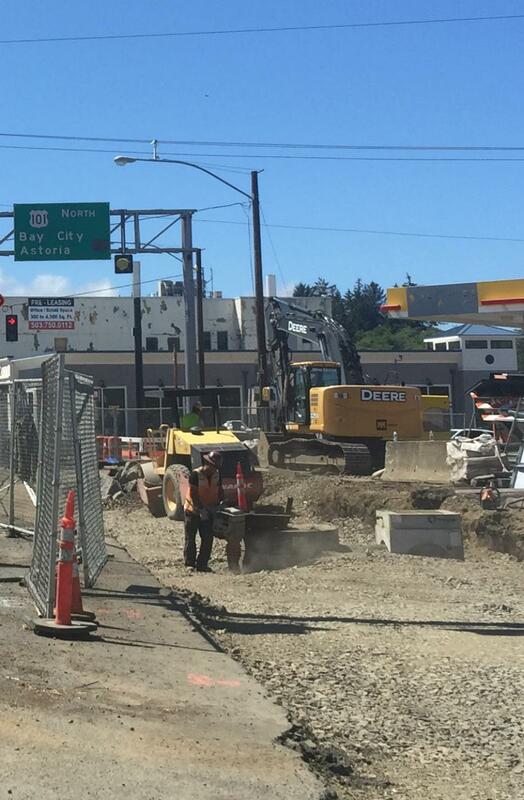 In order to rework the 101/6 intersection, crews had to separate traffic, which meant demolishing two old bridges and replacing them with two new bridges and a new road that will connect to Highway 101. 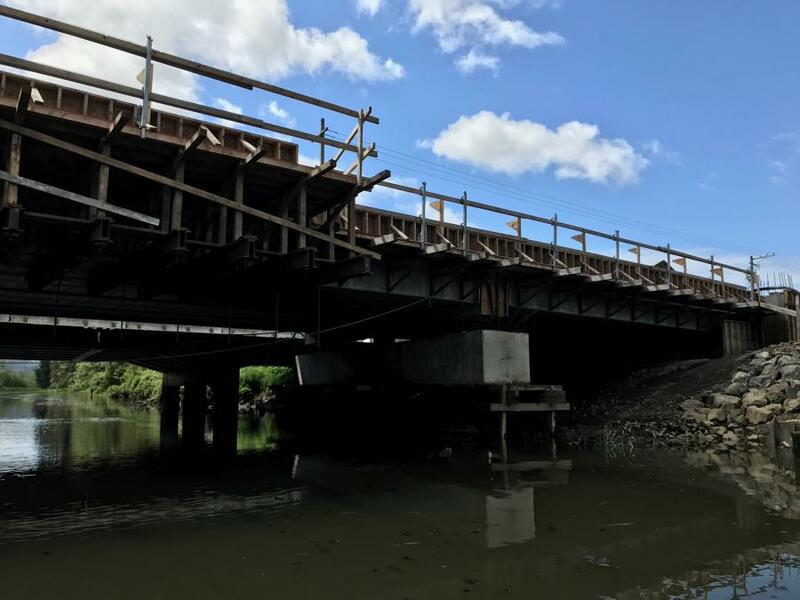 The new bridges will be higher than the old bridges, which ODOT hopes may alleviate some of the flooding in the area Tillamook is noted for. Originally, projected to be a two-year project, it was necessary to extend it by a year to avoid road closures during the peak tourist season. Keeping traffic moving and businesses open to customers were not the only hurdles ODOT had to overcome. Planners knew to expect rain — that's just part of life on the Oregon Coast. And they expected to encounter some pollutants. But in both cases, they just didn't anticipate how much. The year 2016, which was the year crews began excavating, saw record rainfalls and revealed far more hazardous material than anticipated. 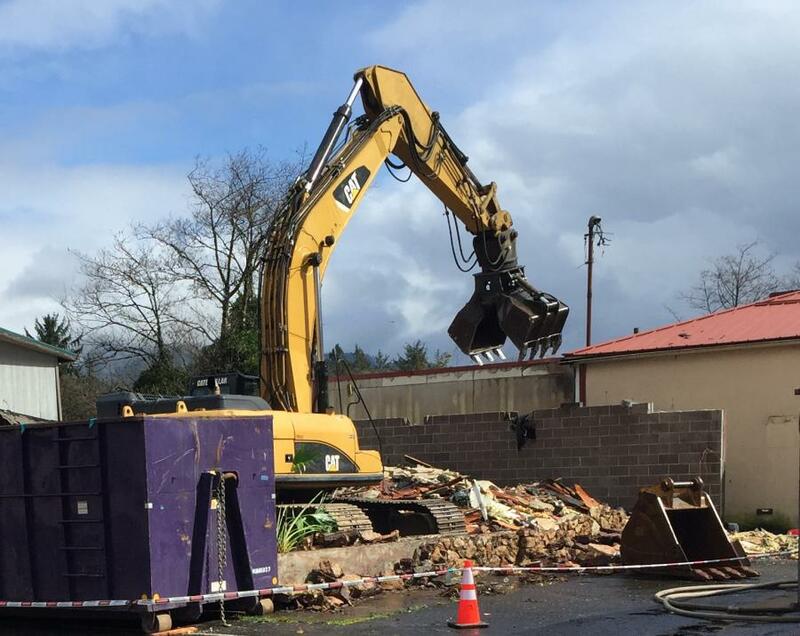 In addition to the excavators, water pumps and filtering system, heavy equipment on the site has included “just about everything you can imagine,” Torres said.